The Blue Mountains was a vast natural barrier that stretched north and south beyond sight and had thwarted all attempts to cross or go around it. 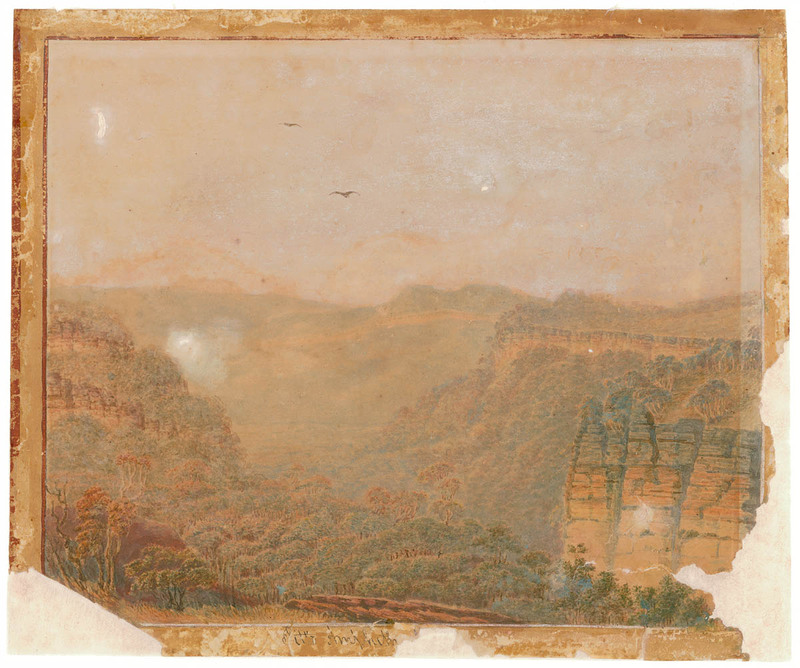 The sheer cliffs, deep gorges, thick scrub and river rapids of the Blue Mountains defeated those who tried to push inland, usually escaped convicts or adventurers keen to find new lands and cattle pastures. The vast continental interior beyond remained a mystery. Somewhere behind the mountains, it was rumoured, lay a vast inland sea, but no one knew anything for sure. However, finding a way through was important. New grazing land would allow farmers to spread out and the settlement of the region to expand. One early explorer in the Blue Mountains was George Caley (1770-1829), a botanist and plant collector to Sir Joseph Banks. He went on regular excursions into the Blue Mountains to gather natural history specimens. A monument at Linden is named after Caley, although it’s not known if he ever actually reached that far west. Francis Barrallier (1773-1853), aide de camp to Governor King, led two expeditions into the foothills of the Blue Mountains in 1802. He discovered Burragorang Valley south west of Sydney but a large waterfall stopped him from travelling further. It would be another decade before a small but well organised party would set out to make a determined effort to find a way through the mountains. The early convicts transported to Sydney found themselves in a vast natural prison.